It's that time of the year where we begin getting ready for the boys to head back to school. All the uniforms are washed and hung in their closets. Backpacks are waiting for them by the door and lunches will be prepared tonight. 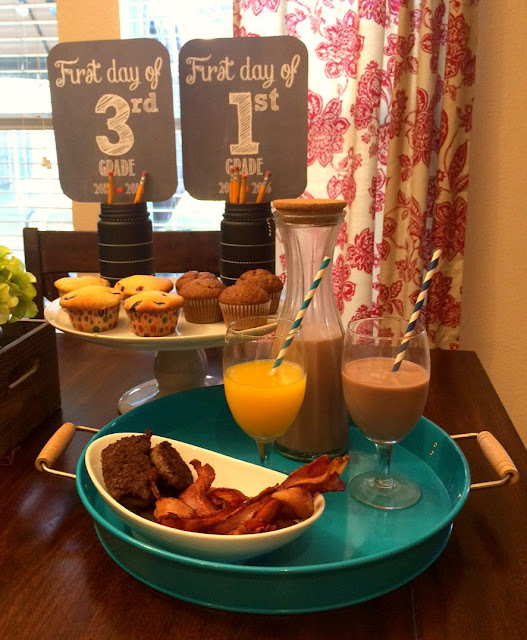 To celebrate the return of school, I prepared a breakfast celebration for the boys! It's our 2nd year doing this and they love it! Especially since the first day is so hectic and hard to get hot, warm breakfast in. I hand made, from scratch, blueberry muffins along with homemade banana muffins, both their favorites. 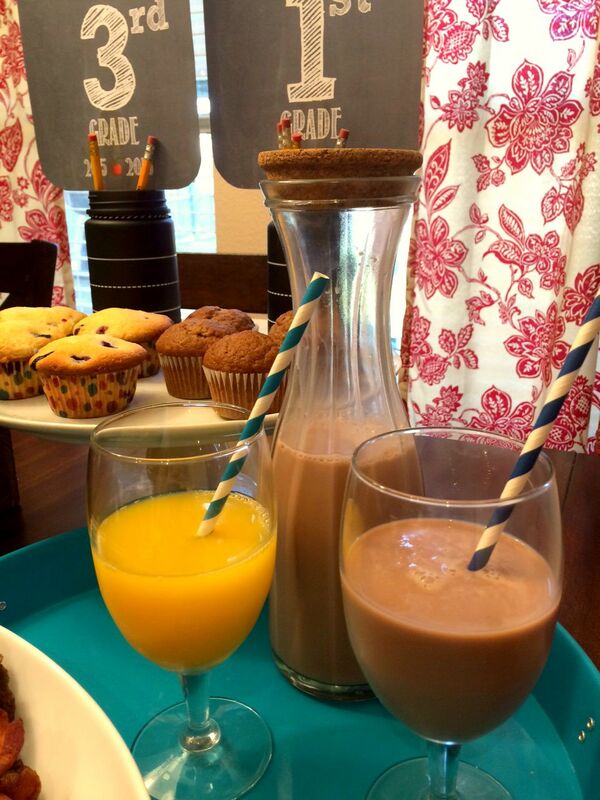 Paired it with bacon and sausage and orange juice and chocolate milk. 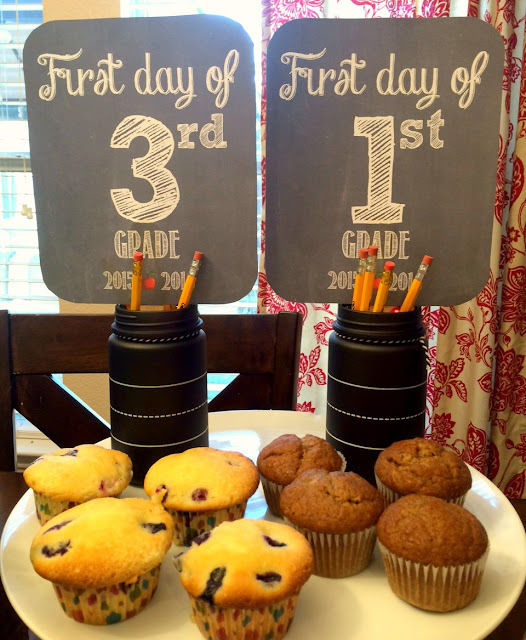 We found these adorable Free Printable Back To School signs from Gemini Celebrations. Thought they were perfect for our breakfast as well as for our first day of school pictures. We printed them, cut them out, attached a wooden handle and even though you can't see them in the photos, we attached a red polka-dotted bow to each one. Breakfast is their favorite meal and of course they loved their breakfast celebration. They ate everything and wanted more!!! 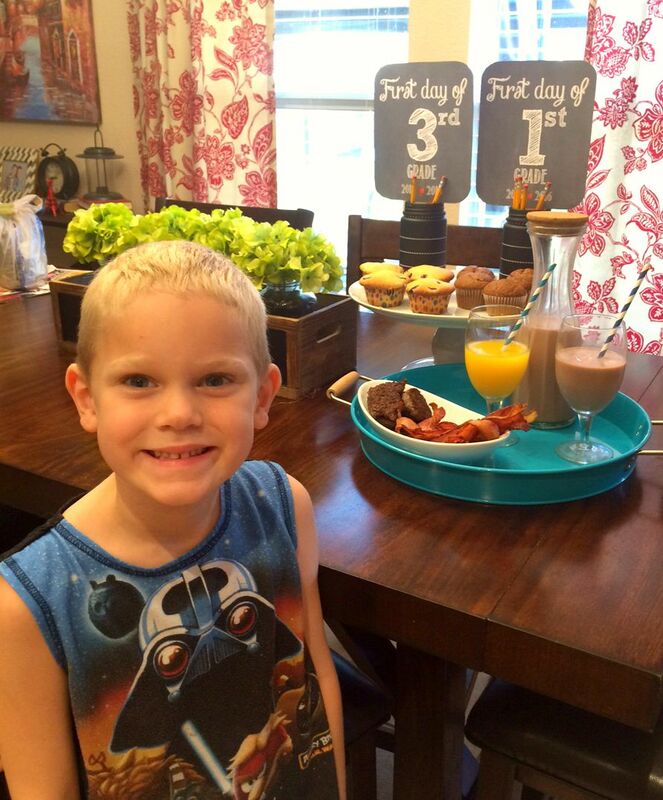 I can't believe they are already going into 1st and 3rd grade! As the saying goes, "The days are long but the years are short." So very true. 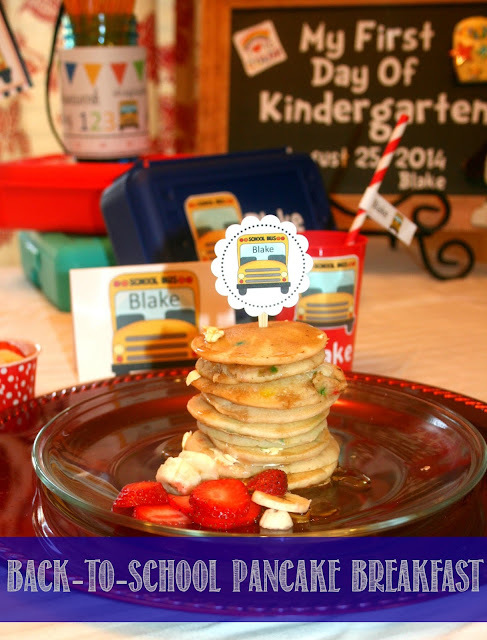 How do you celebrate the start of a new school year??? 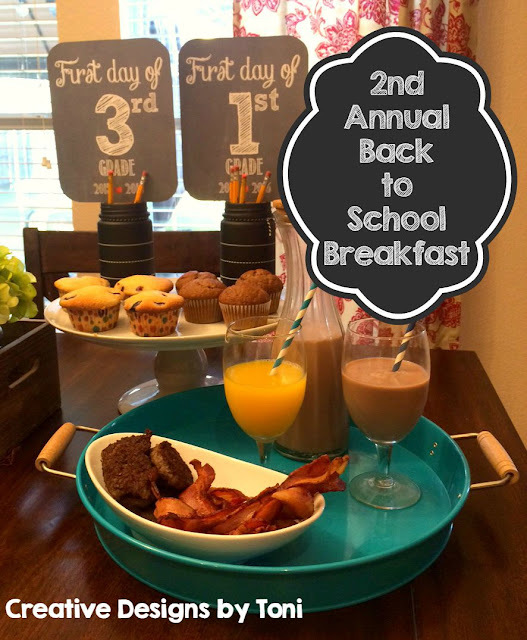 Don't miss our 1st Annual Back to School Breakfast!! !